Because this medication can lower your ability topamax cost us to fight infection..
Quality assurance has been a long tradition with Alpha Labchem. Quality is priority in all activities carried out in our Establishment. Use of Statistical Quality Control Methodology as a Management tool has enabled us to maintain strict control at all levels and ultimately on the Products. Useful for analytical purpose and research work. This is similar to Grade marketed by other International Co’s as :ACS, ANALAR, AR, ANALYTICAL REAGENT, PURISS, PA (Proanalysis). 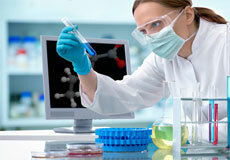 General Purpose reagents used in many potential applications in Chemical laboratories. Careful control ensure ensures that a consistently high defined Quality is maintained throughout. A wide range of stains with excellent staining properties and power to retain colours for a long duration, ideal for Microbiology, Histology, Hematology & Cytology. highly purified reagents for research and analysis. They are free from inhibitors such as traces of heavy metals etc. A broad range of Culture Media bases, additives, stains and Indicators for use in detection, growth and identification of organism. Optimum transmittance for accurate results in Reverse phase chromatography. With dedicated modern facilities, Qualified and Committed staff we believe that Quality is not a destination, it is a journey and our journey continues.